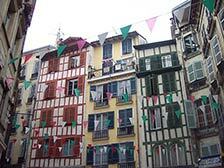 The Basque Country or Euskadi, as spoken in the native tongue, is so magical to me and from the first time I visited there to reconnect with our cousins and family members, I was in love. Both of my parents are half Basque and therefore, my brother and I were raised with strong cultural ties and the joy of hearing stories about this magical land since we were children. 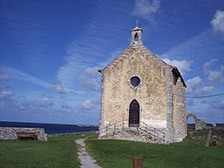 The Basque country is comprised of seven provinces, four located in the northern most part of Spain, and three in the southern most part of France. Navarra (The City of Pamplona is in this province), another province that is predominantly Basque, is not necessarily considered a ‘part of’ the Basque country, as a whole. Each side is equally majestic and possesses its own unique culture, language/dialect and essence of beauty. Each side and their respective regions also possess some of the most delicious restaurants and up-and-coming culinary phenoms in the world. I love how subtle the onset of Basque cuisine has been, but how powerful and impression it is making on the world over. Just think of Arzak, in San Sebastian or Donosti - the Basque name for the city, and some of the other visionary artists whom are homegrown in the Pyrenees. 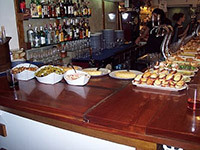 I am a Celiac, and was diagnosed in 2000 and since then have had the good-fortune of visiting Europe and the Basque country many times, specifically on the Spanish side where the term “Celica” (they-lee-aka) is well understood, from the tiniest bar in Getaria, to the more upscale of restaurants throughout Euskadi, they all just get Celiac.they get it. Ellos comprenden todo! Our last family trip there was last September 2007, to celebrate our parent’s 40th Anniversary. We spent 17 days wandering throughout ancient little towns, visiting Bilbao and the Guggenheim Museum, where I found one of the best Tortilla de Patata plates I’ve ever tasted right there in the museum café. We ventured to our family’s hometowns of Lekeitio and Berriatua and ate one of our most favorite meals at a seaside bistro in Getaria, where the chef personally spoke with me and knew exactly what I could or could not eat as a Celiac, and was so helpful.as was the young woman behind a bar in Gernika, understanding perfectly well that the bread had to be removed off the Tapas I was eating, and even in my less-than-perfect Spanish, we were able to communicate without issue. I was so surprised by her awareness, but as our trip progressed it became more and more clear to me that I am NOT the only Basco who is a Celiac - there are many, many more of us roaming throughout Euskadi and Celiac Disease is becoming more prominent within this northern European culture, as well. We celebrated our parents Anniversary dinner at the renown Karlos Aguinano restaurant and hotel, in the wonderful coastal town of Zarautz, just 20 minutes from San Sebastian. I was able to order off of their wonderful house menu and anything in question was simply modified for me without the gluten/flour. I have to say that it was one of my most memorable meals in Europe, and that’s saying something! 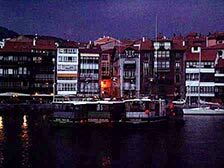 In the same town on another night, we stumbled upon a wonderful Basque restaurant where I learned first-hand via our waitress, just how prevalent Celiac Disease has become in the Basque Country. It was quite an informational conversation that gave me more peace of mind about eating in even the most remote of locations. That night my family and I dined on a fabulous Insalada Mista and a whole, baked fish that was scrumptious and so fresh.and encompassed and entire platter, fins and all. There’s nothing better than eating in another country; someone else’s culinary world and being understood. It eliminates the fear and lends toward a wonderful and relaxed dining experience where you can fully indulge in the local cuisine at hand. 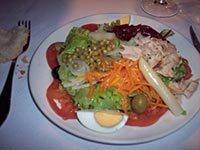 I have not been able to find an official online guide to eating gluten-free in the Basque country; however, this link to the association in Madrid is helpful to review, and this link in particular, will take you so some Celiac-specific locations on the Spanish side of the Basque country, and broken up by regions: (http://www.celiacosmadrid.org/direcciones_rest_paisvasco.html). If you are traveling to Europe, I also recommend purchasing the Dietary card. The cards are language-specific and there’s a Euro-pack that will give you a printed card in Spanish, German, Italian, English and French - very helpful when eating in a country you have never visited before or just need to ensure that you get your message across correctly. What I have learned traveling through the Basque sides of France and Spain is that a Celiac can eat very, very well and very safely there. Of course, we have to forgo the gorgeous French pastries and Spanish galletas (cookies) but there are wonderful native dishes that everyone visiting there should experience and enjoy. I have always found that eating in Europe is easier for a Celiac vs. the United States. Their diets are intrinsically based upon the goodness the earth provides us with, and for the most part the food is void of all the “fillers” the good old U.S. of A loves to encase our foods in. So whether you are dining at a harbor-side café or in one of the regions loveliest of restaurants, it is most certainly going to be an experience you can savor and remember forever. It’s funny. When I’m packing for the Basque country I even tend to bring along less of my “Gluten-free survival kit” of crackers, power bars, etc., knowing that in that magical land.I am assured of eating delicious, gluten-free dishes that are as scrumptious to consume, as the breathtaking views the Basque coastline allows your eyes to feast upon.